5P: Azerbaijan Republic has been part of the USSR for close to seventy years. It is a well-known fact that religion and Islam in particular was eliminated from people’s lives. Has the Islamic identity of the Azeri nation survived? MD: Certainly the Azeri society restored its Muslim identity since the collapse of the Soviet Union, but the restoration of this identity is at a low level. The Muslim identity has been restored on a cultural level, however, on a broad national level it has not been on a comprehensive level of a full meaning of what Islam defines as Deen (lifestyle – worldview). Due to internal and external socio-political pressures the restoration of an Islamic identity in Azerbaijan Republic is facing severe artificial obstacles as in all other countries of the former USSR. After the collapse of the USSR, the newly established authoritarian regimes that came to power in the Muslim republics of the former Soviet Union were not interested in restoring people’s identity. They were afraid that the new identity would create a system that would subordinate their rule to a set of regulations and values. This would put their families and clans at a disadvantage. These new regimes that usurped power could not completely disregard the urge of people in society to rediscover their existential identity. Therefore, they launched a controlled process of reviving the lost national and existential identity of the newly independent societies. Through this controlled process the ruling elites wanted to make sure that no independent intellectual and existential identity could be formed that would de-legitimize the current unelected ruling elites. 5P: What are the key factors that undermine authentic Islamic revival in Azerbaijan today? MD: I would say there are three general factors that undermine Islamic revival and in general religious and other socio-political freedoms in Azerbaijan. First, like in most Muslim countries the desire by the unelected ruling elite to remain in power at any cost. Any socio-political force and organization that does not pledge total allegiance to the ruling Aliyev family is persecuted or at best co-opted using the regime’s security apparatus. 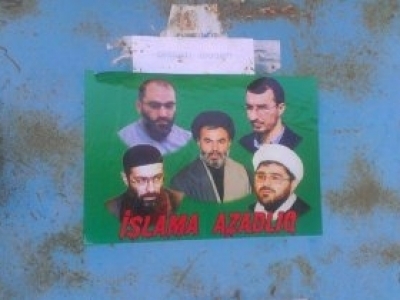 Second, the fact that the overwhelming majority of Azeris are the followers of the Shia school of Islamic jurisprudence makes the external powers view them as “agents of Iran.” By marketing this myth, external powers justify their support for the unelected Aliyev regime and provide all kinds of support to those that try to constrain and pressure the process of Islamic revival. Third, the general lack of basic knowledge about Islamic principles and practices by a significant portion of the Azeri society, due to their Soviet past, combined with the current regime’s staunch policy of controlling freedom of thought, especially in the Islamic sphere. 5P: How active are the Islamic organizations politically and socially in Azerbaijan today? MD: From 1988 to 1995 the Islamic movement in Azerbaijan was very active, but as part of the wider pro-independence patriotic movement, especially during the war in Karabakh against Armenian nationalists. From 1995 until 2008 like many other socio-political groups, the Islamic movement in Azerbaijan experienced suppression. It therefore, avoided direct socio-political activism and instead tried to create social space for itself to function within the regimes accepted framework. Since 2008 due to the regimes overconfidence, increased corruption and external instigation, the Aliyev regime launched an unprecedented crackdown on Islam within Azerbaijan that on the surface of things manifested itself through the ban on hijab in public schools, demolition of mosques and the arrest on fabricated charges of leading Islamic scholars, intellectuals, journalists and activists. This unparalleled crackdown on Islam unintentionally activated the Islamic movement in Azerbaijan to a level unpredicted by the regime and its external imperialist backers. Therefore, today the Islamic movement in Azerbaijan is undoubtedly the leading opposition force to the unelected Aliyev regime. 5P: What do you mean by the arrest of Islamic activists on fabricated charges? MD: Well, in most Muslim countries when members of the opposition are arrested they are arrested openly for their political activities and views. This is not the case in Azerbaijan and this is partly the reason why Ilham Aliyev is able to constantly parrot that there are “no political prisoners in Azerbaijan.” The Aliyev regime most commonly arrests its opponents for possession of drugs, being a spy for foreign countries and recently it also copies Washington’s favorite label, terrorism. For example, in 2011 Dr Movsum Samedov, Chairman of the Islamic Party of Azerbaijan, was arrested on “terrorism” charges a week after he had called for Ilham Aliyev to resign as president at a press conference. This was the first time since 1995 that a political leader had publicly called “to put an end” to the un-elected regime. After his arrest Dr. Samedov was accused of “terrorism” and sentenced to 12 years in prison on October 7, 2011. 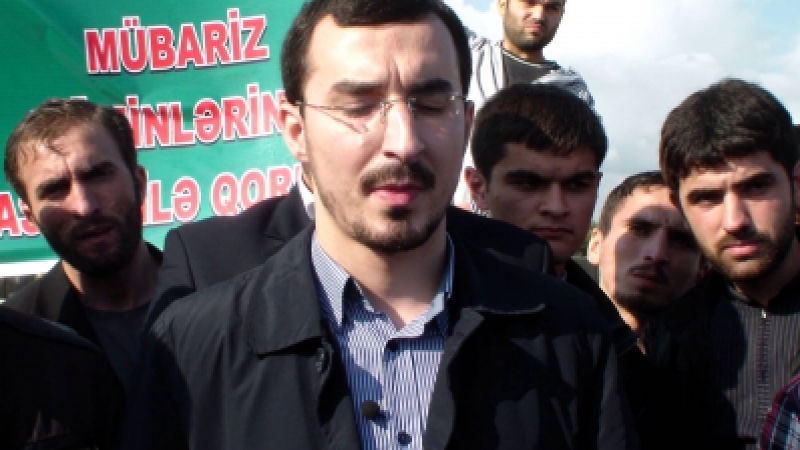 Prominent Islamic journalist Nijat Aliyev was arrested by the Aliyev regime for voicing his opposition to a march by homosexuals in Baku during the Eurovision song contest, officially the Aliyev regime claims that he is arrested for drug possession, unlicensed distribution of religious literature, making public calls to overthrow the constitutional regime, and incitement to ethnic hatred. He has been sentenced to ten years in prison. An interesting facet of the incompetence of implementing these types of arrests by the regime’s thugs is that often such arrests are conducted by the so-called National Security Ministry, a state agency responsible for intelligence work and not drug crimes. In August 2012 Crescent International published a detailed article on how the Aliyev regime uses “legal” means to suppress opposition. Those who are interested in knowing more about it should read that report. 5P: Is there collaboration between secular and Islamic socio-political organizations in Azerbaijan? MD: Yes there is some cooperation, but it is at a very minimal level due to the fact that almost all active non-Islamic socio-political groups receive financial grants and/or political backing from Western countries. Non-Islamic groups fear that they might lose Western backing if they associate with Islamic socio-political groups and form any sort of strategic alliance with them. However, this policy is becoming harder to implement for Western powers and their local allies due to the growing popularity of the Islamic movement. During the last presidential “elections” that the regime routinely orchestrates in order to create an aura of “democracy” regime tolerated “opposition” parties, had to constantly mention the names of the leaders of the Islamic movement in Azerbaijan in order to appear relevant and gain some support. 5P: What is the current state of the non-Islamic opposition in Azerbaijan? MD: They have lost all credibility, as it is clear to all now that the regime uses what the Western media calls “main opposition” parties to imitate an electoral process in order to provide a veneer of legitimacy for itself and an excuse for its foreign backers to justify their support for the regime by claiming that they are supporting a regime prone to reforms. They basically fulfil the role of legitimizing the ruling regime and never take any serious steps to force reforms or replace the corrupt system. Based on my research of social media and other open sources I can say the overwhelming majority of people of Azerbaijan view the “main opposition” as a branch of the ruling regime. 5P: How does the situation of the Islamic opposition differ from other groups? MD: Today many leaders of the Islamic movement are in prison. They are in prison because they have broken the red lines of the Aliyev regime by openly criticizing the ruling family and organizing unsanctioned demonstrations against the regime’s violations of religious freedoms. The leadership of the Islamic movement on numerous occasions demonstrated that it will not play by the rules set by the regime; this won it a great deal of support amongst common people in Azerbaijan. For example on October 5, 2013 when citizens of Azerbaijan were attacked by the regime’s security forces when they marched peacefully towards the Ministry of Education in Baku in order to demand cancelation of the Islamophobic ban on hijab, it was the first time in over a decade when faced with the brutal attack, citizens exercised their right to self-defense. This move won great applause for the Islamic movement amongst various segments of the Azeri society. Another major factor in gaining credibility is that the leaders of the Islamic movement continued to voice their staunch opposition to the regime even while in prison where torture is widely practiced. This courageous stance practiced by Dr Movsum Samedov, Taleh Bagirov, Abgul Suleymanov and others created an image of the Islamic movement being the main authentic opposition force. 5P: You have mentioned that Azerbaijan, like Iran, is a Shia Muslim country. Does it mean that Islamic Republic of Iran exercises a great deal of influence in Azerbaijan? MD: The answer to this question is yes and no. Yes in a sense that Islamic Iran and Azerbaijan are linked together through natural historic, religious and cultural bonds. Today many members of the Islamic religious, political and military establishment in Islamic Iran are ethnic Azeris. In fact many people do not know that Wali-al-Faqih (Guardian Jurist),Imam Sayed Ali Khamenei is half-Azeri, just like many people do not know that many Shia Maraaja (Grand Jurists) also come from an ethnic Azeri background, like deceased Ayatollah Khoei, Ayatollah Lankarani and today Ayatollah Jafar Subhani, many other top scholars from Qum and Najaf are ethnic Azeris. Due to the fact that Muslims in Azerbaijan had to reclaim their almost entirely exterminated Islamic identity after the collapse of the USSR, the religious segment of the Azeri population is committed to Islam as a lifestyle and an existential ideology, not only as a cultural heritage. Because to regain their Islamic identity they had to conduct some research. These and many other factors automatically morally tie many Muslims of Azerbaijan to the Islamic centers of scholarship in Qom, Mashad and Najaf. Of course the regime uses this natural existential and historical connection to brand the Islamic movement in Azerbaijan as the “agents” of Iran. The same methodology is used in Lebanon, occupied Arabian Peninsula, Iraq, and Palestine and everywhere where Muslims draw an inspiration from the values of the Islamic Revolution that took place in Iran. During the climax of Fatah-Hamas tensions in occupied Palestine, Washington backed groups would often chant during their anti-Hamas rallies that Hamas are Shia and Iranian, basically this primitive PR tool is also used in Azerbaijan. The “no” aspect to the question lies in the fact that the ruling regime with vast assistance from abroad managed to create a negative view of Islamic Iran amongst a significant minority within the country. For example, the unofficial “independent” media outlets in Azerbaijan often repeat the myth that Islamic Iran sent Hzibullah mujahedin to fight against Azerbaijan on the side of Armenia in the 1990s. This myth is twisted by the fact that there were some Armenian-Lebanese that fought against Azerbaijan in the early 1990s, but they were Armenians and had no ties to Iran. Also since 1996 the ruling regime in Azerbaijan facilitated the spread of modern day Khawarij ideology (Wahhabism) in order to foster anti-Iranian sentiments. All of these factors along with many others have decreased Iran’s influence in Azerbaijan. 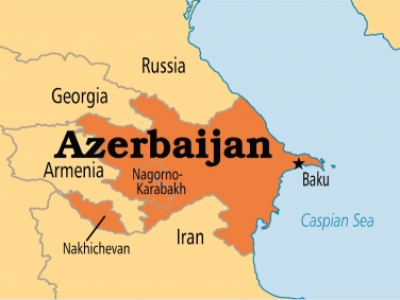 5P: Are there any inter-Muslim (sectarian) tensions in Azerbaijan? MD: The tensions were non-existent until about ten years ago. However, since the Islamic movement in Azerbaijan became politically active and socially popular the tensions with the minuscule Wahhabi community that brands itself to be “Salafi” or “Sunni” have increased. In fact on July 4th, for the first time the takfiri mob attacked on mass local Muslims in Mushviqabad district by throwing stones at them and urging them not to pray at the local district mosque because they are kafir and should not enter a mosque. At about the same time a crowed of locals in Sabirabad caught a person in their town who was deemed to be “Salafi” and forcefully shaved his beard. In December 2013 report for Crescent International I wrote that after openly falsifying the latest presidential election results by announcing the general results one day prior to the elections, the regime will unleash the takfiri card in order to contain the only real opposition force to its rule. I was always certain that the regime will at some point unleash the takfiri minded (Wahhabi) groups that have been trained in Saudi Arabia to distort the image of the Islamic movement within Azeri society and present itself as the only civilized option. In Azerbaijan it is not a secret that the Wahhabi groups are regime supporters. 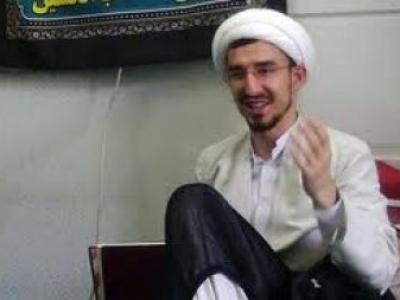 One of the main ringleaders of the takfiri minded community, Qamet Suleymanov, is on record for openly voicing his support for the regime and urging others to support the unelected system. 5P: What are your predictions about future socio-political developments in Azerbaijan Republic? MD: Based on my research at ICIT and reporting for Crescent International my predictions are quite pessimistic, but I would also say they are realistic. If things remain as they are today, which most likely they will, the current regime will hang on to power for at least another five to ten years. However, unfortunately when change will come it will most likely be through a civil war. In every society when the population loses hope in state institutions and a political process, the society takes unprecedented steps to demand its rights. Since there is no real political process in Azerbaijan and the state is run based on a medieval feudal system, the population is cornered. The regime will try to reinvent a pseudo-opposition in order to keep things as they are today, but the success of this policy in the long run is doomed to fail.